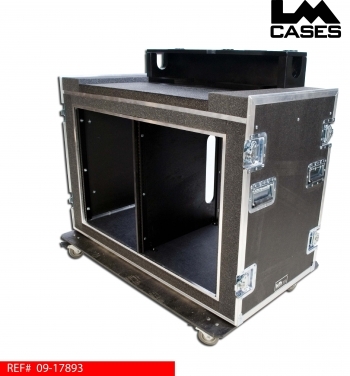 This case was designed to hold a Yamaha LS9-32 mixer. 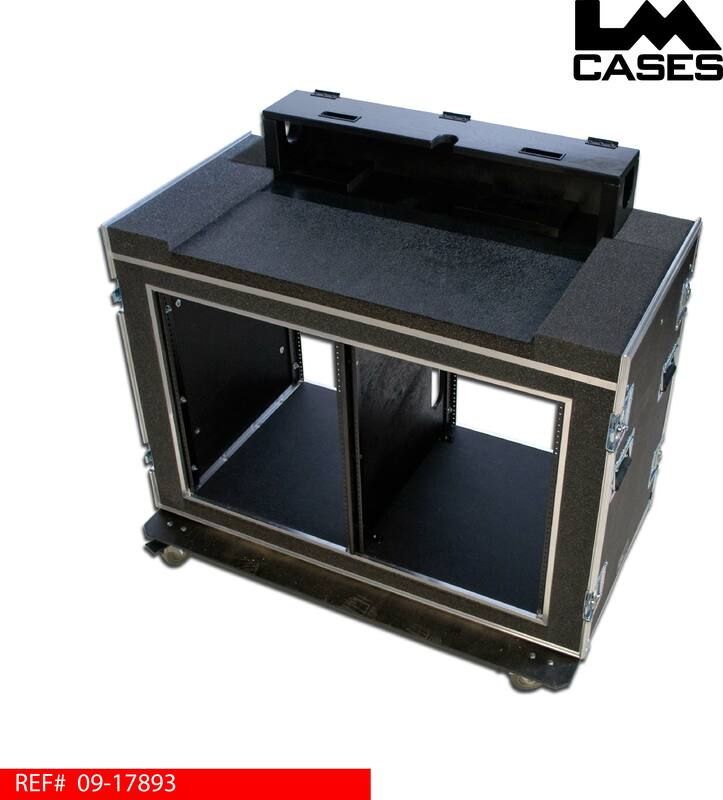 The case features a double wide shock-mounted 16RU rack section as well as a custom Birch doghouse that contours the back of the console. The exterior case is built from 3/8" plywood and features 3.5" casters.